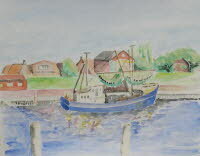 This page shows other paintings done on various occasions in various countries. 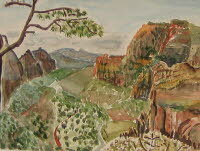 All water color paintings. 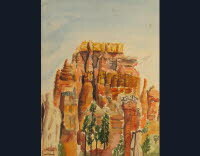 After a year of studies at the University of Oregon in 1981/82 I (Thomas) had the chance to travel through large parts of the US where most of all the vast and impressive wilderness of the national parks in the South West invited me to make some unforgettable paintings. 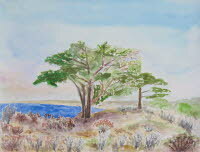 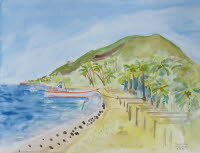 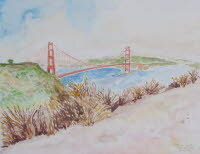 In 2006, just after beginning to work for AKT, an Applied Materials Company, I again painted 2 water color paintings at the West Coast.